Arrive early to get through security screening—two hours early for domestic and three hours early for international flights. Check with your airline and airport to determine wait times during peak periods. The MyTSA App is also a great resource to help figure out when you should get to the airport. Consider checking your bag: more people and more bags may lead to longer wait times. For your carry-on bag – make sure it’s well organized. It takes time for TSA officers to make sure a cluttered or overstuffed bag is safe. Examples of personal electronic items that would be scanned separately include laptops and electronics larger than a cell phone. This includes tablets, e-readers, and cameras. Additionally, TSA may provide instructions to remove items from your bag such as foods, powders, and any materials that can clutter bags and obstruct X-ray images. Know the 3-1-1 rule: TSA’s 3-1-1 is shorthand for the liquids rule. Basically, limit your liquids, gels, aerosols and pastes to no more than 3.4 ounces, or 100 milliliters, in 1 bag that’s no bigger than 1 quart. Medically-necessary liquids may exceed this limit, but must be declared prior to commencement of screening. All liquids, including liquids declared as medically-necessary, must be screened. If you must travel with it, know how to safely pack your gun in checked baggage—and NEVER bring it to the TSA checkpoint: Transporting Firearms. Get through the line faster with TSA Precheck, which lets you leave your shoes, belt, and light jacket on while you go through security. You can also leave your laptop and your liquids in your bag. It costs $85 for five years. TSA Cares is a helpline for travelers who want to prepare for the screening process prior to flying. TSA Cares is toll free at 1-855-787-2227 or Federal Relay 711. Travelers may also request the assistance of a Passenger Support Specialist for security screening at TSA Cares. The TSA Disability Notification Card can be used to discreetly notify TSA Officers at security screening of a disability or medical condition and request an accommodation. For general inquiries and questions, visit TSA.gov or contact us through the TSA Contact Center (TCC) at TSA-ContactCenter@tsa.dhs.gov, or by phone at 866-289-9673 or Federal Relay 711. For additional travel tips, read TSA’s 5 Essential Summer Travel Tips and follow @AskTSA and @TSA on Twitter and Facebook. Share Your Experiences with Accessible Transportation! The National Council on Independent Living is currently conducting research on our members’ experiences with transportation, and we are seeking information from individuals who have struggled to gain access to accessible transportation. We are looking for several compelling stories to help us mobilize around issues of vehicle accessibility and autonomous vehicles. Buying and modifying a vehicle for wheelchair access. Arranging accessible ridesharing (Uber and Lyft). Interface access and needs for blind and D/deaf individuals. How wheelchair users manage public transportation (fixed route, paratransit and other modes). Specifically: What your thoughts are about the service? How does it affect your ability to get out in the community? If you have experienced barriers with any of the above topics, please share your story. The survey is also available in Word and plaint text and can be emailed back to lindsay@ncil.org. Please share your story and help with this important effort! For people with disabilities to live independently, getting where they need and want to go is vital. Having accessible, affordable transportation services is essential. There are many barriers to transportation that people with disabilities face daily. With the passage and implementation of the Americans with Disabilities Act (ADA) and the Air Carriers Access Act, progress has been made, but some of those gains are now in peril. Autonomous Vehicles (AVs or self-driving cars) offer great potential as a way to remove some of the barriers to transportation, as well as making travel safer for everyone. Some states already have driverless cars on the road, but none of them are accessible to people who use wheelchairs or other mobility devices. Many housing advocates were shocked, speechless, and upset when word came out that Housing and Urban Development (HUD) Secretary Ben Carson was planning to update HUD’s mission statement and remove language relating to housing discrimination and inclusion. This would be a very public statement that HUD no longer considered combating fair housing discrimination against protected classes, including persons with disabilities, a priority. This generated numerous articles, letters, and calls to HUD. 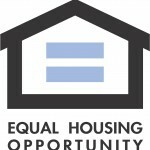 NCIL signed on to a letter from the National Fair Housing Alliance (PDF), along with 573 other organizations (164 national organizations; 409 state or local groups; and individuals). 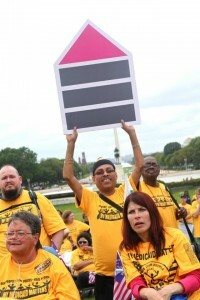 Unfortunately, different people can have very different idea on what exactly is “fair,” which is why NCIL and other organizations will continue to monitor HUD’s work on updating its mission statement and, more importantly, HUD’s continued effectiveness in combating housing discrimination. Quite a few things have been happening on the housing front in the New Year. On the positive side, Congress passed an $89.3 billion disaster relief package that will provide funding to areas impacted by Hurricane Maria, with money set aside for rebuilding the electrical grids in Puerto Rico and US Virgin Islands. Congress also passed a budget deal that lifted the Budget Control Act cap, enabling many programs to avoid cuts. However, on the negative side, Housing and Urban Development (HUD) Secretary Carson delayed the implementation of Affirmatively Furthering Fair Housing until 2025, effectively delaying efforts to combat segregation. President Trump’s FY 2019 budget proposes dramatic cuts of $8.8 billion (18.3% cut compared to 2017 levels) to housing programs! With the two-year budget deal, “Bipartisan Budget Act of 2018”, the Appropriations Committee will need to complete the FY 2018 funding bill before their deadline of March 23. Advocates should call Congress to insist on increased funding for housing. Waymo (formerly the Google Self-Driving Car Project) published its first Safety Report for our fully self-driving technology. Safety is at the core of Waymo’s mission and we believe our technology could save thousands of American lives now lost to traffic crashes every year. In the Report, we detail Waymo’s work on ― and our commitment to ― safety. This overview of our safety program reflects the important lessons learned through the 3.5 million miles Waymo’s vehicles have self-driven on public roads, and billions of miles of simulated driving, over the last eight years. The U.S. Department of Transportation (DOT) recently issued updated federal guidance for autonomous vehicles, Automated Driving Systems 2.0: A Vision for Safety, and the Waymo Safety Report also contains information responsive to DOT’s guidance. An Oregon State University research team is developing designs of an accessible sleeper compartment for the next generation of bi-level long-distance passenger rail cars. The team is interested in learning your opinions about your needs or experiences during long-distance rail travel by passengers who are older or may have disabilities. The information you provide will help the research team inform the passenger rail industry, federal regulatory and policy agencies to make changes that will make long distance rail travel more accessible for everyone. Individuals with disabilities now have a platform for sharing their stories, photos, videos and graphics about their air travel experiences. AirAccess30.org, launched in January 2016 by Paralyzed Veterans of America, enables passengers with disabilities who utilize air travel to share positive and negative stories about their experiences. AirAccess30 is seeking to collect stories from all 50 states and DC. The following locations are not currently represented: Colorado; District of Columbia; Hawaii; Idaho; Kansas; Kentucky; Louisiana; Maryland; Michigan; North Carolina; North Dakota; Nebraska; New Jersey; New Mexico; Nevada; Utah; Vermont; and Wyoming. AirAccess30 is seeking additional stories from: Florida; Missouri; Mississippi; Oregon; Pennsylvania; Washington; and Wisconsin. Many advocates have grown accustomed to using the Concrete Change website over the years for news, information, and other resources on visitability. In 2016, NCIL learned from Eleanor Smith, founder of Concrete Change, that their website would soon be removed from the internet. We worked with Eleanor Smith to preserve the decades of visitability resources she and Concrete Change developed. NCIL revamped www.visitability.org and transferred to it to NCIL’s servers to preserve these important resources. The website is a work in progress, so please email eleanor@ncil.org if you have any suggestions for content or other improvements. We are particularly seeking copyright-free high resolution photos of visitable homes of all types to add to the site. We also would appreciate links to news articles regarding visitability to share on the website. Special thanks to Eleanor Smith for her dedication to visitability and her work to make it a reality in our communities; Mary Johnson for gifting us the domain and framework; Pat Puckett for her support; and the NCIL Housing Subcommittee for taking on this project. The NCIL Housing Subcommittee has been hard at work developing letters on two different issues to be sent to the U.S. Department of Housing and Urban Development (HUD). We have been keeping track of bills in Congress and the budget / appropriations process. As always, we’ve been on the lookout for new members. If you are interested, please contact Brian Peters at bpeters@independencefirst.org. Many people do not appreciate the connection between housing and health. It works both ways: housing leads to better health outcomes (such as housing for people who are homeless), and better health coverage can result in more stable housing options as people don’t lose their housing due to medical issues. This is why it is very important for you to contact your Senator TODAY to protest the attempt to “reform” healthcare by overturning the Affordable Care Act and cutting Medicaid. The loss of Medicaid is a very serious threat to housing stability for many people. With the cuts over time, institutionalization will become the only option in many states due to a lack of funding for “optional” services (whereas nursing institutions is a mandatory service).